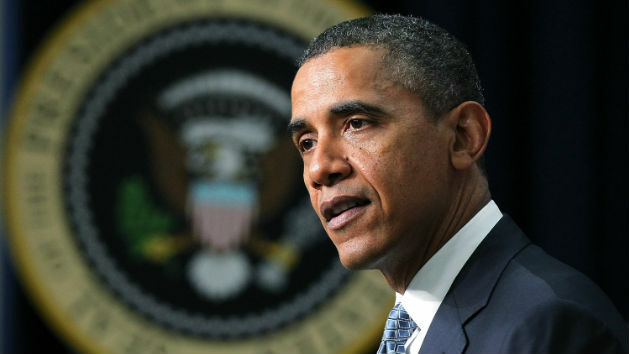 President Obama laid out the case for a targeted military action against Syrian regime targets as a result of their use of chemical weapons that killed over one thousand people–including hundreds of children. The President also made clear that this would not be an open-ended intervention, and there will be no American troops on the ground. While the President was clear on the need for action, he announced he would seek Congressional authorization for the use of force. 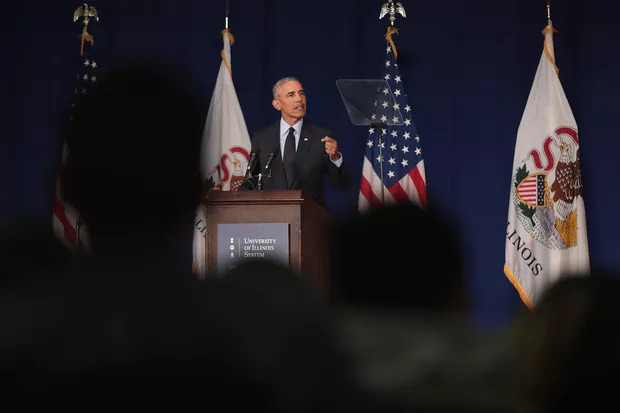 President Obama said that he had not made a final decision about Syria, but that he was not considering any military action that would require a long-term campaign or troops on the ground. 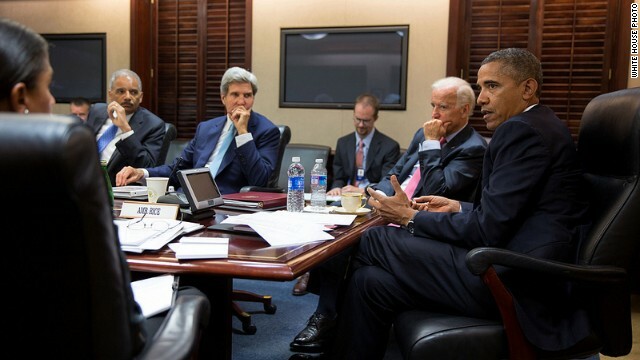 Obama met with his national security team Friday in the White House Situation Room. White House Photo. PRESIDENT OBAMA: Well, obviously, I’m very grateful to have my fellow Presidents here, as well as the Vice President. Before I begin, I want to say a few words about the situation in Syria. With that, I want to welcome President Ilves, President Grybauskait?, and President B?rzi?š to the White House. These countries that they represent all share very deep ties to the United States, both as allies and because of the extraordinary people-to-people relations that we have with these countries. I want to thank all the Presidents who are here, and their nations, for all that they do to promote democracy not only in their own countries but around the world. The Baltics are among our most reliable allies in NATO, and our commitment to their security is rock-solid. Our soldiers sacrifice together in Afghanistan, and the Baltics, of course, continue to help support our troops as we transition the NATO mission. Today we’re going to spend some time talking about shared commitments to the Transatlantic Trade and Investment Partnership negotiations, which will add jobs in the Baltics and the United States. We’re working on development assistance projects, including building institutions and strengthening civil society in the emerging democracies of Eastern Europe and Central Asia. We will obviously have discussions about our NATO relationship and the security concerns that we share together. So, again, I’ve had occasions to meet with all three Presidents in a wide variety of settings and wide variety of summits. They have been outstanding friends to the United States of America. We are very proud of them. And I want to thank each of them for their leadership. We know how far Estonia, Latvia, and Lithuania have come in just the past two decades, and I know that we’ll accomplish even more in the decades to come. So with that, I want to give each of these leaders a chance to say a few words. We’re going to start with President Ilves. PRESIDENT ILVES: Thank you. I’d actually like to begin by thanking President Obama for inviting us here, and we are quite grateful to the United States and to you personally for your leadership, commitment and support. The main issue on our agenda today is global and regional security, and the question, of course, on everyone’s mind is the situation in Syria. For Estonia, the use of chemical weapons is deplorable. The attack demands a response. Those responsible must be held accountable. Violations cannot be overlooked. When it comes to our security, we appreciate the commitment that the United States has shown to our region and Europe as a whole, and we attach great importance to continued U.S. engagement in European security. The transatlantic security link is unique and enduring as are the common values that underpin it. As a NATO ally, Estonia takes its responsibility for our common defense seriously. We are currently and will maintain committed to NATO’s mission in Afghanistan. We spend 2 percent of our GDP on defense. We also believe in maintaining a strong transatlantic link in other areas, such as trade, cyber and energy security. I look forward to exchanging views on all of these issues, as I also look forward to discussing what we can do together internationally to promote our common values: democracy, human rights, rule of law. We already cooperate in countries that lie to the east and the south of us — Ukraine, Moldova, and Georgia, and Tunisia, as well, just to name a few. I am sure that this global cooperation aimed at helping countries transition from authoritarian to democratic rule will be expanded in the future. Recently, we’ve heard a lot of talk about pivots. Today we are on the verge of a new rebalancing of the U.S. focus, this time to the Nordic-Baltic region. Our region is one of the most secure, stable, and prosperous in Europe. We are proud to be part of it. We are proud of the partnership we have with the United States here, just as we are proud of our alliance and the enduring friendship of the American people. PRESIDENT GRYBAUSKAITÈ: So adding in line, I would like to emphasize that to go with the matter of security in the region, we are talking about economic security in the region. And here, especially on energy security, the United States plays a very serious role. We opened in our region already, in Vilnius, the NATO Center of Excellence for Energy Security, and bilaterally with the United States, the Center for Nuclear Security. And this is important because we are on the borders of NATO with some other not-so-secure regions, and why this involvement of the United States is so important for all of our region. And of course, as a country which presides today the European Union’s Council, we are engaged very much in starting negotiations on the free trade agreement between the United States and European Union. And I’m very happy that we got one meeting, and now we were thinking October for a second one. And I think that it is a generational challenge and opportunity for all of us — for United States and Europe — to move fast these kinds of relations and to have very efficient and resultative outcome. And I hope that we will be able to do it fast. So together with the military new challenges, we are trying to battle new economic challenges together with the cyber challenges, which our region all the time receives and receives. And I want to say that every day, every day practically we see this aggressiveness and new forms of challenges our region is facing, so why I just can also confirm that Baltic and Nordic cooperation is a new phenomena — I would say unique phenomena in Europe, which is very much reliable and you can find from us as being — we are strategic partners for the United States. 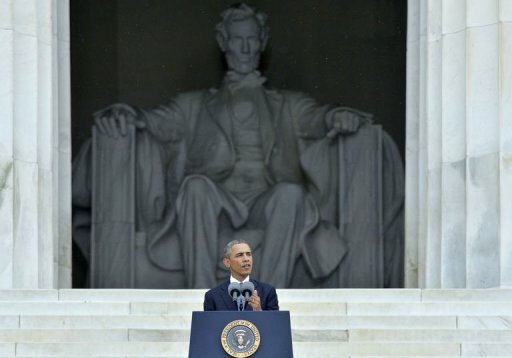 PRESIDENT B?RZINŠ: This week is important for American people, 50th anniversary of March on Washington. 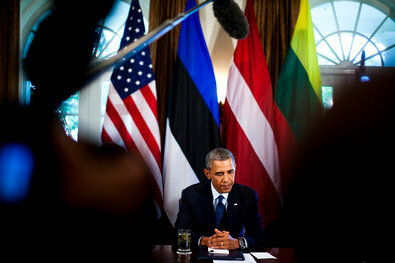 As I say, for us, this is 15 years over when Baltic-American Charter was signed. This is the right moment to review and to move forward. For us, we are thankful to you giving your presidential time to the determined goals of the Baltic nation — U.S.-led military exercise in Baltics strengthen Nordic — the distribution network to Afghanistan. British-American Freedom Fund, which helps Baltic students to study in American universities. Of course, we see — together, at the same time being very active in Europe — we will become members of eurozone on the 1st of January. We are actually working at the same time to become members of OECD. And of course, our focus is to look for new possibilities in Europe using our past experience. We are focusing to Central Asia countries and also to Eastern Partnership countries. And this is particularly important in relations to Afghanistan and to develop this country in a peaceful manner. Latvia has past crisis, but at the same time, we have to do much, much more. And having this really good NATO support and such partners as U.S., we can move forward. And it’s clear that today’s meeting is a reason and demonstration of the stable, long-term interest of the United States and Baltics. And we are proud, free, and at peace. Q: Mr. President, is your decision on Syria imminent? And why did you feel like it’s appropriate to move forward without formal authorization from either the United Nations or Congress, particularly given that the British Parliament had an opportunity to vote? PRESIDENT OBAMA: We are still in the planning process. And obviously, consultations with Congress as well as the international community are very important. And my preference obviously would have been that the international community already acted forcefully. But what we have seen, so far at least, is a incapacity at this point for the Security Council to move forward in the face of a clear violation of international norms. And I recognize that all of us — here in the United States, in Great Britain, in many parts of the world there is a certain weariness given Afghanistan; there’s a certain suspicion of any military action post-Iraq. And I very much appreciate that. On the other hand, it’s important for us to recognize that when over a thousand people are killed, including hundreds of innocent children, through the use of a weapon that 98 or 99 percent of humanity says should not be used even in war, and there is no action, then we’re sending a signal that that international norm doesn’t mean much. And that is a danger to our national security. And, obviously, if and when we make a decision to respond, there are a whole host of considerations that I have to take into account, too, in terms of how effective it is. And given the kind of options that we’re looking at, they would be very limited and would not involve a long-term commitment or a major operation. We are confident that we can provide Congress all the information and get all the input that they need, and we’re very mindful of that. And we can have serious conversations with our allies and our friends around the world about this. But, ultimately, we don’t want the world to be paralyzed. And, frankly, part of the challenge that we end up with here is that a lot of people think something should be done, but nobody wants to do it. And that’s not an unusual situation. And that’s part of what allows over time the erosion of these kinds of international prohibitions, unless somebody says: No, when the world says we’re not going to use chemical weapons, we mean it. And it would be tempting to leave it to others to do it. And I think I’ve shown consistently and said consistently my strong preference for multilateral action whenever possible. But it is not in the national security interests of the United States to ignore clear violations of these kinds of international norms. And the reason is because there are a whole host of international norms out there that are very important to us. We have currently rules in place dealing with the proliferation of weapons of mass destruction. We have international norms that have been violated by certain countries, and the United Nations has put sanctions in place. But if there’s a sense that over time nobody is willing to actually enforce them, then people won’t take them seriously. So I’m very clear that the world generally is war-weary. Certainly, the United States has gone through over a decade of war. The American people, understandably, want us to be focused on the business of rebuilding our economy here and putting people back to work. And I assure you, nobody ends up being more war-weary than me. But what I also believe is that part of our obligation as a leader in the world is making sure that when you have a regime that is willing to use weapons that are prohibited by international norms on their own people, including children, that they are held to account. Secretary of State John Kerry on Friday made an impassioned case for punishing Syria, stating that a chemical attack by the regime of President Bashar al-Assad killed 1,429 people, a toll that he said included 426 children. President Obama has spent many days now consulting with Congress and talking with leaders around the world about the situation in Syria. And last night, the President asked all of us on his national security team to consult with the leaders of Congress as well, including the leadership of the Congressional national security committees. And he asked us to consult about what we know regarding the horrific chemical weapons attack in the Damascus suburbs last week. I will tell you that as someone who has spent nearly three decades in the United States Congress, I know that that consultation is the right way for a president to approach a decision of when and how and if to use military force. And it’s important to ask the tough questions and get the tough answers before taking action, not just afterwards.And I believe, as President Obama does, that it is also important to discuss this directly with the American people. That’s our responsibility, to talk with the citizens who have entrusted all of us in the Administration and the Congress with the responsibility for their security. That’s why this morning’s release of our government’s unclassified estimate of what took place in Syria is so important. Its findings are as clear as they are compelling. I’m not asking you to take my word for it. Read for yourself, everyone, those listening. All of you, read for yourselves the evidence from thousands of sources, evidence that is already publicly available, and read for yourselves the verdict reached by our intelligence community about the chemical weapons attack the Assad regime inflicted on the opposition and on opposition-controlled or contested neighborhoods in the Damascus suburbs on the early morning of August 21st. Our intelligence community has carefully reviewed and re-reviewed information regarding this attack, and I will tell you it has done so more than mindful of the Iraq experience. We will not repeat that moment. Accordingly, we have taken unprecedented steps to declassify and make facts available to people who can judge for themselves. But still, in order to protect sources and methods, some of what we know will only be released to members of Congress, the representatives of the American people. That means that some things we do know we can’t talk about publicly. So what do we really know that we can talk about? Well, we know that the Assad regime has the largest chemical weapons program in the entire Middle East. We know that the regime has used those weapons multiple times this year and has used them on a smaller scale, but still it has used them against its own people, including not very far from where last Wednesday’s attack happened. We know that the regime was specifically determined to rid the Damascus suburbs of the opposition, and it was frustrated that it hadn’t succeeded in doing so. We know that for three days before the attack the Syrian regime’s chemical weapons personnel were on the ground in the area making preparations. 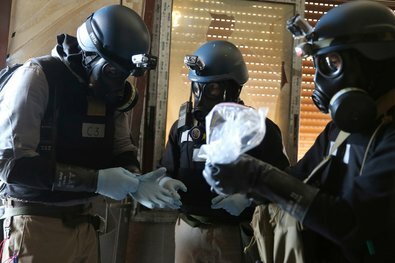 And we know that the Syrian regime elements were told to prepare for the attack by putting on gas masks and taking precautions associated with chemical weapons. We know that these were specific instructions. We know where the rockets were launched from and at what time. We know where they landed and when. We know rockets came only from regime-controlled areas and went only to opposition-controlled or contested neighborhoods. And we know, as does the world, that just 90 minutes later all hell broke loose in the social media. With our own eyes we have seen the thousands of reports from 11 separate sites in the Damascus suburbs. All of them show and report victims with breathing difficulties, people twitching with spasms, coughing, rapid heartbeats, foaming at the mouth, unconsciousness and death. And we know it was ordinary Syrian citizens who reported all of these horrors. And just as important, we know what the doctors and the nurses who treated them didn’t report – not a scratch, not a shrapnel wound, not a cut, not a gunshot wound. We saw rows of dead lined up in burial shrouds, the white linen unstained by a single drop of blood. Instead of being tucked safely in their beds at home, we saw rows of children lying side by side sprawled on a hospital floor, all of them dead from Assad’s gas and surrounded by parents and grandparents who had suffered the same fate. The United States Government now knows that at least 1,429 Syrians were killed in this attack, including at least 426 children. Even the first responders, the doctors, nurses, and medics who tried to save them, they became victims themselves. We saw them gasping for air, terrified that their own lives were in danger. We also know many disturbing details about the aftermath. We know that a senior regime official who knew about the attack confirmed that chemical weapons were used by the regime, reviewed the impact, and actually was afraid that they would be discovered. We know this. And we know what they did next. I personally called the Foreign Minister of Syria and I said to him, “If, as you say, your nation has nothing to hide, then let the United Nations in immediately and give the inspectors the unfettered access so they have the opportunity to tell your story.” Instead, for four days they shelled the neighborhood in order to destroy evidence, bombarding block after block at a rate four times higher than they had over the previous 10 days. And when the UN inspectors finally gained access, that access, as we now know, was restricted and controlled. In all of these things that I have listed, in all of these things that we know, all of them, the American intelligence community has high confidence, high confidence. This is common sense. This is evidence. These are facts. So the primary question is really no longer: What do we know? The question is: What are we – we collectively – what are we in the world going to do about it? As previous storms in history have gathered, when unspeakable crimes were within our power to stop them, we have been warned against the temptations of looking the other way. 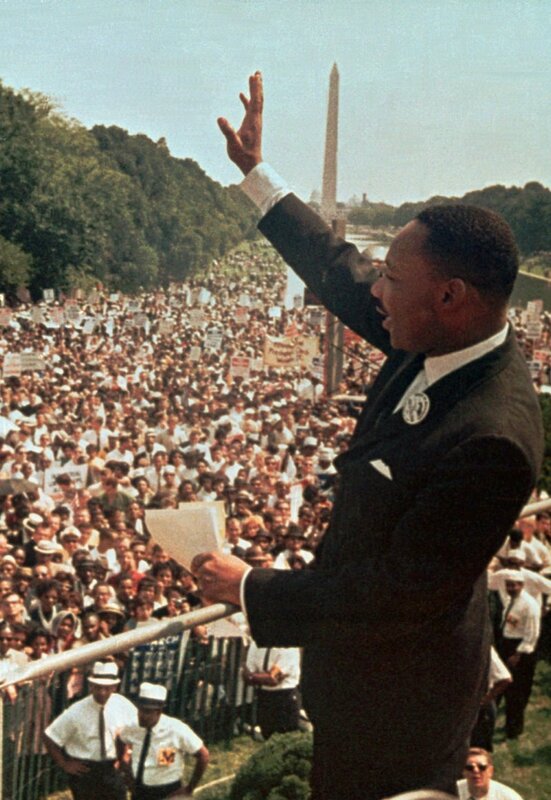 History is full of leaders who have warned against inaction, indifference, and especially against silence when it mattered most. 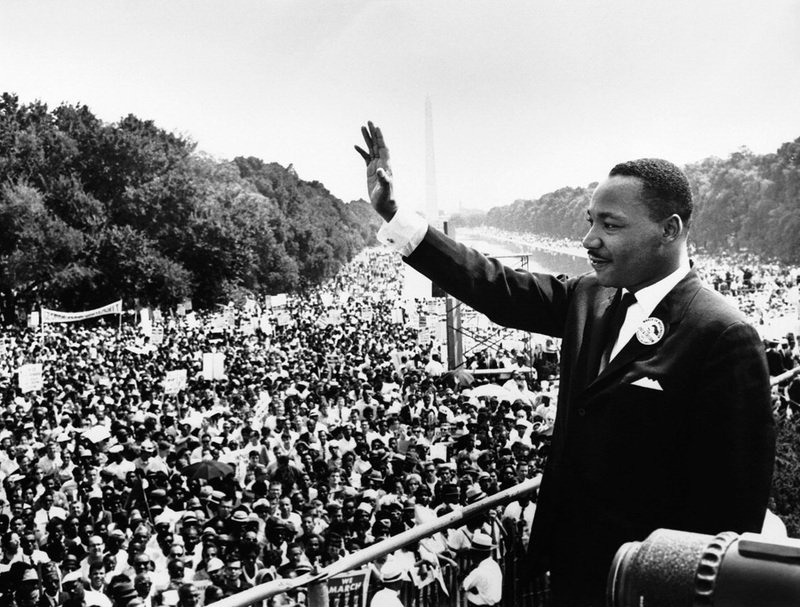 Our choices then in history had great consequences and our choice today has great consequences. It matters that nearly a hundred years ago, in direct response to the utter horror and inhumanity of World War I, that the civilized world agreed that chemical weapons should never be used again. That was the world’s resolve then, and that began nearly a century of effort to create a clear redline for the international community. It matters today that we are working as an international community to rid the world of the worst weapons. That’s why we signed agreements like the START Treaty, the New START Treaty, the Chemical Weapons Convention, which more than 180 countries, including Iran, Iraq, and Lebanon, have signed on to. It matters to our security and the security of our allies. It matters to Israel. It matters to our close friends Jordan, Turkey, and Lebanon – all of whom live just a stiff breeze away from Damascus. It matters to all of them where the Syrian chemical weapons are. And if unchecked, they can cause even greater death and destruction to those friends. And it matters deeply to the credibility and the future interests of the United States of America and our allies. It matters because a lot of other countries, whose polices challenges these international norms, are watching. They are watching. They want to see whether the United States and our friends mean what we say. It is directly related to our credibility and whether countries still believe the United States when it says something. They are watching to see if Syria can get away with it, because then maybe they too can put the world at greater risk. And make no mistake, in an increasingly complicated world of sectarian and religious extremist violence, what we choose to do or not do matters in real ways to our own security. Some cite the risk of doing things, but we need to ask, what is the risk of doing nothing? It matters because if we choose to live in a world where a thug and a murderer like Bashar al-Assad can gas thousands of his own people with impunity, even after the United States and our allies said no, and then the world does nothing about it, there will be no end to the test of our resolve and the dangers that will flow from those others who believe that they can do as they will. This matters also beyond the limits of Syria’s borders. 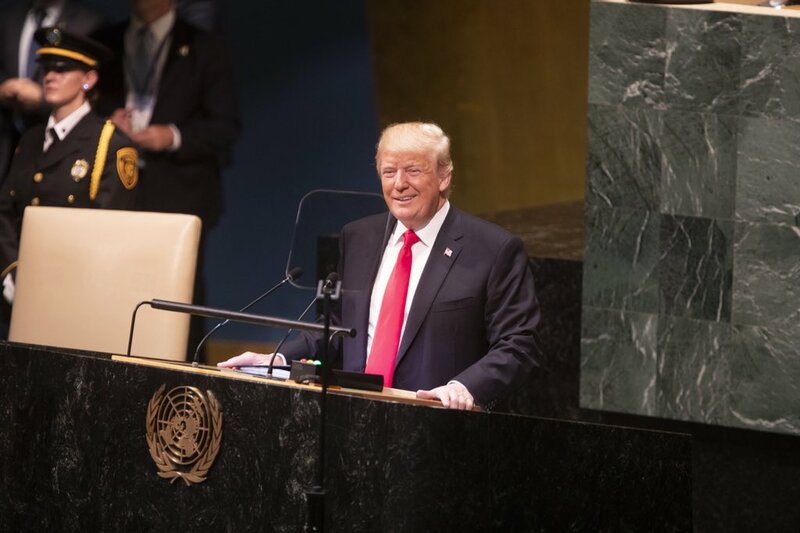 It is about whether Iran, which itself has been a victim of chemical weapons attacks, will now feel emboldened, in the absence of action, to obtain nuclear weapons. It is about Hezbollah, and North Korea, and every other terrorist group or dictator that might ever again contemplate the use of weapons of mass destruction. Will they remember that the Assad regime was stopped from those weapons’ current or future use, or will they remember that the world stood aside and created impunity? So our concern is not just about some far off land oceans away. That’s not what this is about. Our concern with the cause of the defenseless people of Syria is about choices that will directly affect our role in the world and our interests in the world. It is also profoundly about who we are. We are the United States of America. We are the country that has tried, not always successfully, but always tried to honor a set of universal values around which we have organized our lives and our aspirations. This crime against conscience, this crime against humanity, this crime against the most fundamental principles of international community, against the norm of the international community, this matters to us. And it matters to who we are. And it matters to leadership and to our credibility in the world. My friends, it matters here if nothing is done. It matters if the world speaks out in condemnation and then nothing happens. So now that we know what we know, the question we must all be asking is: What will we do? 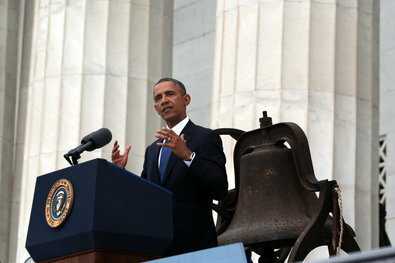 Let me emphasize – President Obama, we in the United States, we believe in the United Nations. And we have great respect for the brave inspectors who endured regime gunfire and obstructions to their investigation. But as Ban Ki-moon, the Secretary General, has said again and again, the UN investigation will not affirm who used these chemical weapons. That is not the mandate of the UN investigation. They will only affirm whether such weapons were used. By the definition of their own mandate, the UN can’t tell us anything that we haven’t shared with you this afternoon or that we don’t already know. And because of the guaranteed Russian obstructionism of any action through the UN Security Council, the UN cannot galvanize the world to act as it should. So let me be clear. We will continue talking to the Congress, talking to our allies, and most importantly, talking to the American people. President Obama will ensure that the United States of America makes our own decisions on our own timelines based on our values and our interests. Now, we know that after a decade of conflict, the American people are tired of war. Believe me, I am, too. But fatigue does not absolve us of our responsibility. Just longing for peace does not necessarily bring it about. And history would judge us all extraordinarily harshly if we turned a blind eye to a dictator’s wanton use of weapons of mass destruction against all warnings, against all common understanding of decency. These things we do know. We also know that we have a President who does what he says that he will do. And he has said very clearly that whatever decision he makes in Syria, it will bear no resemblance to Afghanistan, Iraq, or even Libya. It will not involve any boots on the ground. It will not be open-ended. And it will not assume responsibility for a civil war that is already well underway. The President has been clear: Any action that he might decide to take will be a limited and tailored response to ensure that a despot’s brutal and flagrant use of chemical weapons is held accountable. And ultimately, ultimately, we are committed – we remain committed, we believe it’s the primary objective – is to have a diplomatic process that can resolve this through negotiation, because we know there is no ultimate military solution. It has to be political. It has to happen at the negotiating table, and we are deeply committed to getting there. So that is what we know. That’s what the leaders of Congress now know. And that’s what the American people need to know. And that is at the core of the decisions that must now be made for the security of our country and for the promise of a planet where the world’s most heinous weapons must never again be used against the world’s most vulnerable people. 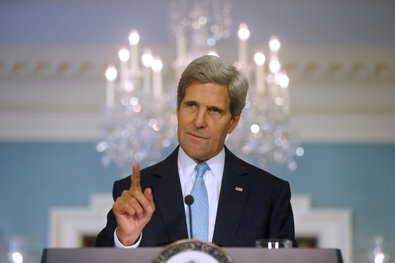 Secretary of State John Kerry made a statement on Friday about Syria at the State Department in Washington. Well, for the last several days President Obama and his entire national security team have been reviewing the situation in Syria, and today I want to provide an update on our efforts as we consider our response to the use of chemical weapons.What we saw in Syria last week should shock the conscience of the world. It defies any code of morality. Let me be clear: The indiscriminate slaughter of civilians, the killing of women and children and innocent bystanders, by chemical weapons is a moral obscenity. By any standard it is inexcusable, and despite the excuses and equivocations that some have manufactured, it is undeniable.